For more about what we’ve been working on the past month, keep an eye out for our next newsletter! To see photos and learn more about Governor Hogan‘s entire Western Maryland trip, read our press releases and view photos on Facebook. 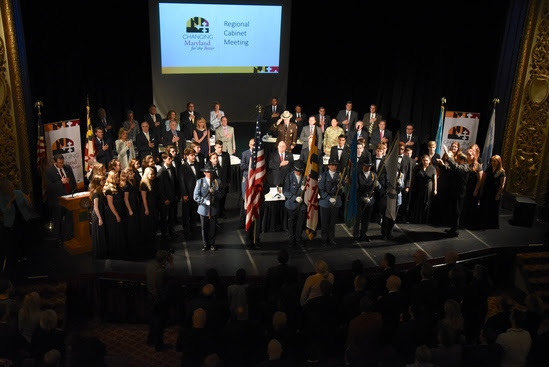 The Regional Cabinet Meeting, held at the Maryland Theatre, began with a presentation of the color guard by the Washington County Sheriff’s Office and a performance of the national anthem by students from the Barbara Ingram School for the Arts. 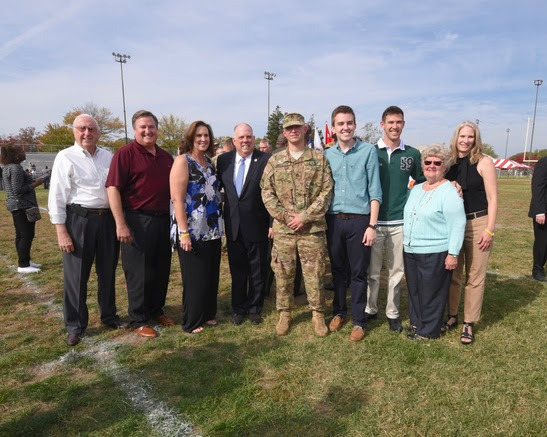 Staff Sergeant Jeffrey Tyler Middleton and his family with Governor Hogan after the departure ceremony. “It was my honor and privilege to speak at the Departure Ceremony of the 29th Infantry Division. I have been incredibly humbled to see first-hand the leadership, self-sacrifice, and bravery of our Maryland National Guard soldiers and airmen. This ceremony hit close to home for me, as Staff Sergeant Jeffrey Tyler Middleton is also a Maryland State Trooper First Class who serves on my Executive Protection detail. I assured him that we will be holding his spot on my detail until he returns home. 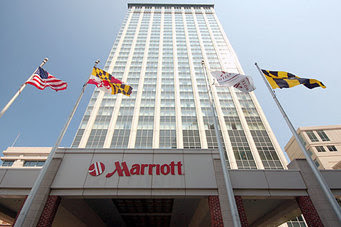 Marriott International, Inc., the world’s leading hotel company, announced plans to relocate its global corporate office to a state-of-the-art, build-to-suit $600-million facility to be located in downtown Bethesda in Montgomery County. The county has been Marriott’s home for more than 60 years. The new complex will house more than 3,500 employees in approximately 700,000 square feet of leased office space. The company is continuing its consideration of several sites in downtown Bethesda, and is expected to select a final site in the first half of 2017. Marriott plans to occupy the new space before the expiration of its current lease in late 2022. Marriott also announced that a 200+ room, Marriott-branded hotel will be built on the site. First Lady Yumi Hogan joined the Maryland Food Bank in accepting 40,000 pounds of food from the Church of Jesus Christ of Latter-day Saints. 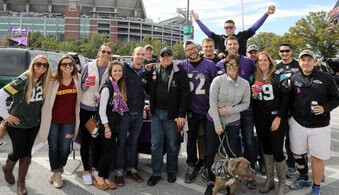 The donation marked the conclusion of Day to Serve, during which more than 600,000 pounds of food already were collected throughout Maryland to distribute to those in need – double the amount collected in 2015. With over 514 events, 145,000 volunteer hours, and nearly $94,000 in non-food donations, the Governor’s Day to Serve was a major success! Crystal Steel Fabricators, a family-owned structural steel fabricator headquartered in Delmar, Del., is opening a new manufacturing facility in Caroline County, and creating 126 new jobs over the next two years. The company recently acquired the 100,000 square-foot former ES Steel building in the Frank Adams Industrial Park in Federalsburg. This is the first Maryland location for Crystal Steel, which also has facilities in Pennsylvania, Tennessee, and the Philippines. As we welcome November and all thoughts turn to the approaching holiday season, the month naturally brings to mind images of turkeys and pumpkin pies, warm wool sweaters, frosty-white mornings, and vibrant fall foliage. For leaf peepers looking for where to go to see the changing colors, check out the Department of Natural Resources Fall Foliage and Festival Report! For more information on events around the state this fall, contact the Maryland Office of Tourism at 1-800-MDISFUN or check out their website at www.visitmaryland.org. 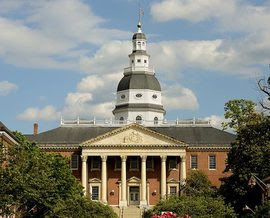 The Maryland State House is the oldest state house in continuous legislative use and is the only state house to ever serve as the nation’s capital.